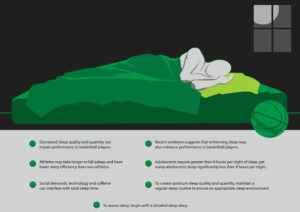 As with all people, athletes need healthy sleep to perform well in everyday life and in competition. However, with their level of physical activity, sleep is crucial for athletes in helping their bodies to recover. On the other hand, while physical exercise can be beneficial for sleep, it doesn’t negate the variety of sleep challenges athletes might face. Studies show that healthy sleep is linked to excellent athletic performance. According to the National Sleep Foundation, the key to success for athletes is to get both quality sleep and the right amount of sleep. The REM sleep cycle is critical in providing energy to the body and brain, and helps with memory and the release of hormones needed for the body to heal and recover. Good performance is everything for athletes. That’s why it’s important for them to find the best mattress that suits their needs and preferences, and promotes healthy sleep–and in turn, optimal recovery and ultimately many wins. We will also provide a comprehensive overview of the best mattresses for athletes, based on research and consumer reviews. 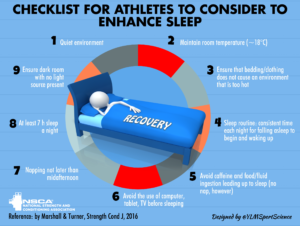 Why is sleep important for athletes? Getting enough sleep and healthy sleep is crucial for athletes, because sleep can have an impact on performance, muscle recovery, hormones, energy, and mental and physical health alike. According to WebMD, athletes need between 7 and 9 hours of sleep each night. Because their physical activity pushes their bodies and more demand is put on muscles, recovery during sleep is extremely important for athletes. Athletes who are in training mode may even need more sleep — sometimes as much as 10 hours or more. Speed: The right amount of sleep can promote faster reflexes and reaction times. Athletes who get extra sleep are known to improve their speed and accuracy. One study on Stanford University basketball players showed extra sleep (2 hours a night) resulted in players improving speed by 5 percent and accuracy by 9 percent. Strong and healthy mind: Mental strength is just as important as physical strength when it comes to being an athlete. Getting sufficient and healthy sleep improves both mood and alertness, which are both important for athletes when it comes to practice and competition. In this Huffington Post article, one athlete talks about his mind being “sharp” when he gets enough sleep and “foggy” when he doesn’t sleep enough. Coordination: Healthy sleep not only improves cognitive memory, but also muscle memory, which is key in consistent and successful performance for athletes. This boost in memory doesn’t start until after hour 7 during sleep. If athletes aren’t getting at least 7 hours of sleep, they won’t reap the potential benefits for their performance. Intensity: Good sleep helps athletes take on high-intensity workouts and have more energy for practice. 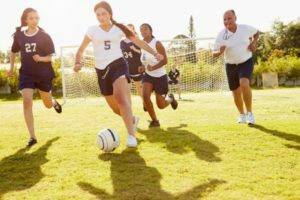 Recovery and hormones: According to the National Strength and Conditioning Association, recovery happens through hormone activity. And, in deep sleep, hormones are released to help with muscle repair, bone growth, muscle building, and the oxidation of fats. In addition, sleep helps the immune system restore itself, and the nervous system recover. Weight and general health: Healthy sleep can help athletes maintain the weight that they need, and maintaining a good weight helps promote overall health. Naturally, athletes are getting regular physical exercise which is linked to good health. For example, with regular exercise, the risk of heart diseases significantly decreases, along with other benefits including good circulation. Hormones: During sleep, bodies regulate hormones, including cortisol (the stress hormone). Cortisol increases with lack of sleep, because it hinders the body’s glycogen and carbohydrate production that is key in creating energy and promoting endurance. An increase in cortisol makes it harder for athletes to perform. Slower reaction time and focus: Athletes use reaction time for everything from quick footwork in tennis, to catching a ball in basketball or baseball. Lack of sleep, or consistent sleep loss over time (also known as sleep debt), can cause reaction times to become slower. Lack of sleep can cause impaired judgement, which also makes it difficult for athletes to focus. Energy: During sleep, the body uses energy in helping muscles and tissues to recover and repair, to allow the body to spend less energy when awake. During REM sleep is when both the brain and body get energy, and if lack of sleep occurs, the brain and body miss out on these benefits. This can cause low energy for athletes, which can affect performance. Weight gain: Poor sleep can cause weight gain, and good sleep helps people maintain a healthy weight. Poor sleep is also known to cause a lack of motivation to be active. Mood: Sleep deprivation can cause mood problems, and also depression and anxiety. Athletes need more sleep than average people, so it’s important that you get between 8 and 10 hours (or more) of sleep each night. Consistency is important, especially when you’re trying to get enough sleep. Going to bed and waking up at the same time can promote healthy sleep. The routine helps you get used to the schedule, and can make falling asleep easier, too. Sticking to this will help athletes get to bed without being distracted with work, devices, TV, and technology. The key here is to avoid alertness, and to keep the sleep environment specific for sleeping — whether an athlete is at home or on the road. Create a calm, relaxing sleep environment that makes you think of sleep when you enter the room. Keeping the temperature cool and the room dark are important, too. Selecting a mattress that makes sense for your sleeping position and preferences is important for getting a good night of rest. Your pillow and bedding are just as important. Avoiding alcohol or limiting how much you consume is recommended. Alcohol interferes with healthy sleep. The old concept of having a “night cap” before bed does not result in better sleep, rather sleep becomes more disrupted because sleep patterns are affected by alcohol. Stimulants like nicotine and caffeine impede sleep, keeping people awake. Both nicotine and caffeine can keep people up at night in addition to causing insomnia, less sleep, and withdrawal. Power naps are between 10 and 30 minutes and are known to help boost performance, energy, alertness, and short-term memory. It is recommended that you don’t just lie in bed awake if you can’t sleep. Getting up and doing something until you get sleepy is the best approach. Being an athlete with the pressure to perform can be stressful. Consider activities that help relax the mind and body, including yoga, massage, guided imagery, meditation, and essential oils like lavender, among others. 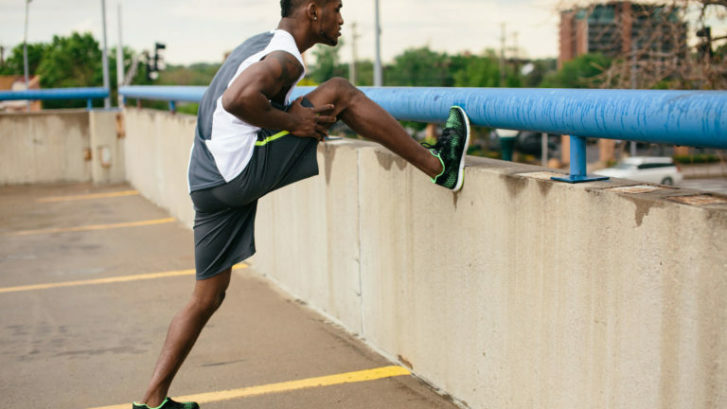 Because of the physical demands on the body, athletes should consider several key characteristics in a mattress that promote pressure relief and muscle recovery. The right mattress for each person may vary; however, athletes should look for a mattress that is comfortable (based on their preferences) and allows for the muscles to recover as quickly as possible, and one that promotes deep sleep. Before selecting a mattress, athletes need to understand the differences between the mattress types, including memory foam, latex, innerspring, and hybrid options, and what those varieties offer when it comes to comfort and support. See our guides about about comfort layers and support cores to learn more. Firmness level: The best mattresses for athletes are usually medium to medium-firm in firmness. Depending on body weight, lighter athletes might be more comfortable with a medium firmness between 2 and 5 on the firmness scale. Heavier athletes are typically more comfortable with a medium-firm level between 6 and 8 on the firmness scale. Desired firmness level can also vary based on sleeping positions. Side, back, stomach, and combination sleepers have different needs when it comes to firmness based on how the heavier parts of the body are supported and how the mattress conforms to the body. Comfort and conforming: The comfort layers of the mattress are important for athletes because they help with pressure relief by cradling the body and evenly distributing weight. They also support natural body and spine alignment. Comfort is also a personal preference, and some athletes may prefer more or less conforming. Athletes should consider a mattress that will help muscles relax and provides enough comfort to relieve pressure, and not cause any added pain or pressure. Support/density: Solid foundational support is important for athletes. The support core is responsible for how much a sleeper’s body sinks down into the mattress, and offers spinal and body alignment, and added support for the comfort layers. Athletes should consider a mattress that offers support that holds up the weight of their body, and doesn’t sag, which can cause pressure and pain. High-density mattresses are usually the best for athletes, because they are strong enough to hold up the sleeper’s body. This prevents them from sinking too deep into the mattress. Temperature/cooling properties: Some mattresses are known to trap body heat, making sleepers hot. It is recommended that athletes stay cool during sleep to get the best quality sleep possible. The best mattresses for athletes have cooling properties that are built into the mattress. Some examples of cooling function include Celliant, a fabric that does a great job at diffusing heat and making the mattress more breathable; gel foam that is designed to promote cooling and airflow; and latex, which is naturally cooling. Size: Most athletes use standard sized mattresses, however, some may need to consider sizes that are made for taller and bigger people. Athletes who need a larger mattress should consider a wide King or California King. Motion isolation: To promote healthy sleep, athletes should consider a mattress that performs well in isolating movement, especially if he or she sleeps with a partner. This can help prevent sleep disturbances during the night, and reduces movement felt on the mattress if a sleeping partner moves or gets out of bed. Here we will explore the four most popular main types of mattresses available on the market, and how they compare for athletes. Each type of mattress has advantages for athletes. While materials and construction varies, each kind of mattress features a combination of support and body contouring to promote body and spine alignment, and pressure relief. Memory foam is made with polyurethane (petroleum-based chemicals) plus a few added chemicals to increase the foam’s softness and density. Unlike its cousin polyfoam, memory foam is not suitable for use as a support layer so it’s used for the comfort layer. Memory foam softens when heat and pressure is applied, making this material ideal for comfort layers because of the pressure relief and body cradling it offers. This is important for athletes in allowing the body to relax and recover, and promotes natural body and spine alignment. These mattresses usually include a high-density polyfoam support core that provides the support athletes need to hold up their body weight. 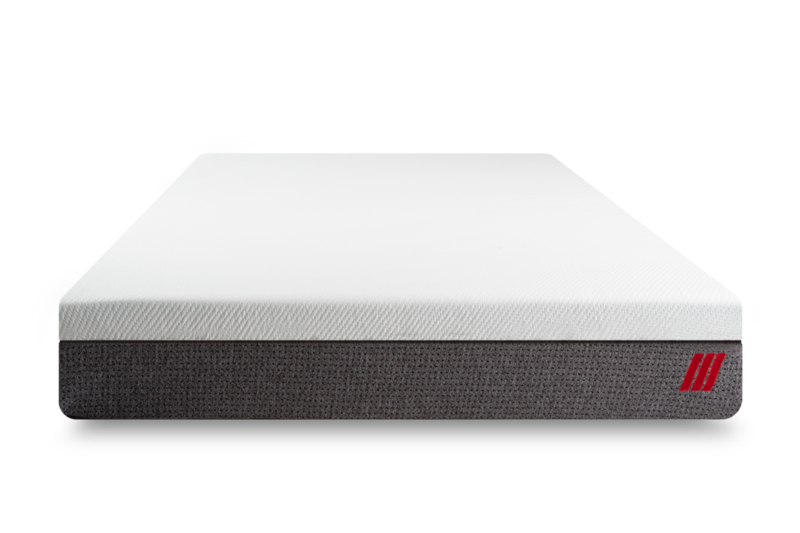 Polyfoam is made to hold up a sleeper’s body and provide consistent support and adds support to the memory foam comfort layer. Memory foam mattresses are available in a range of firmness levels, and are made to accommodate a variety of different athletes and sleeping positions. They perform well in isolating motion, and are quiet. Some models offer cooling properties built into the foams used in these mattresses, which is important for athletes to stay cool during sleep. Innerspring mattresses are the most popular and widely sold. 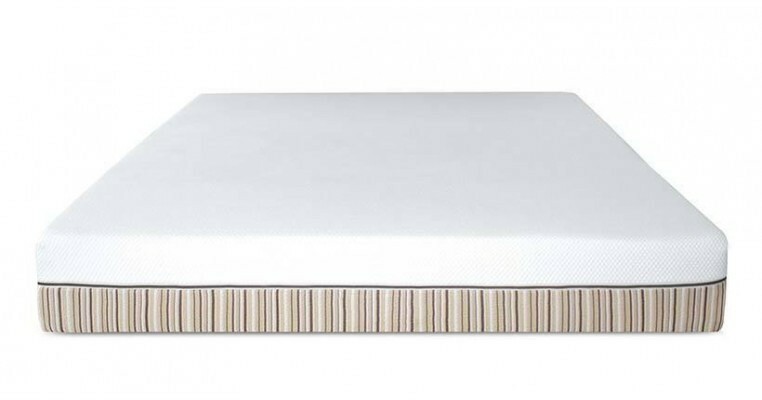 These mattresses feature metal coils (in a variety of gauges and designs) that are designed to provide support for sleepers, distribute weight, and maintain structure of the mattress. 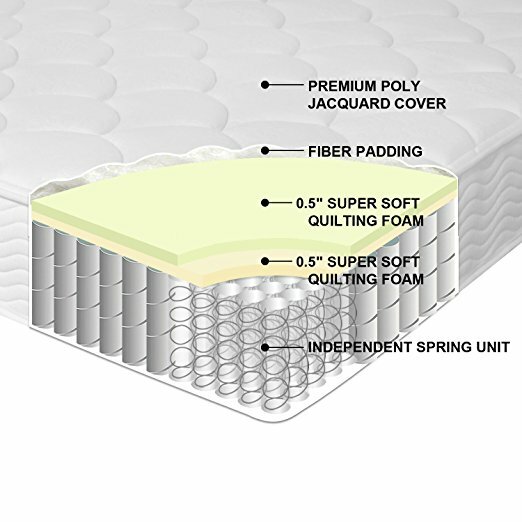 Most innerspring mattresses are topped with a comfort layer of polyfoam, memory foam, or latex. This layer is important in providing pressure relief which is important for recovery, which can impact an athlete’s performance. For athletes, these mattresses are a good choice because of the different firmness levels available. Plus, innerspring mattresses provide consistent support and perform well in staying cool. It’s critical that the coils are high-quality, and that the comfort layer paired with the support core offers the right amount of pressure relief, as some innerspring mattresses don’t conform as much as others. Also, athletes should take note that some innerspring mattresses make noise due to the coil construction. Hybrid mattresses include several different kinds of layers. 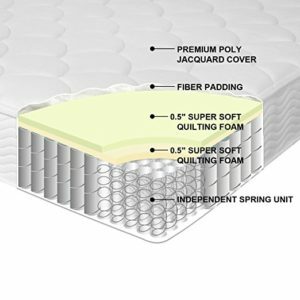 Most are constructed with an innerspring support core, high-density polyfoam layers, and either a microcoil, memory foam, or latex comfort layers. These mattresses offer similar support to what innerspring mattresses provide, but more body contouring and conforming. This feature provides excellent pressure relief that allows for the muscle and body recovery athletes need. They are available in several different firmness levels, offer good motion isolation, and many include cooling properties. Due to the core being constructed of innersprings, these mattresses can make some noise but are known to be quieter than traditional innerspring mattresses. Latex mattresses are made of natural, synthetic, or blended latex, and are known for long lifespans, durability, elasticity, and responsiveness. The ability to provide both the foundational support, contouring and pressure relief that athletes need makes this a top pick for athletes. Some latex mattresses are made of latex only in the support core and comfort layer, and some latex support cores are paired with other high-density polyfoam or memory foam layers. Latex can be conforming and soft upon impact, and then offer firmer support as the body compresses deeper into the mattress. Latex mattresses come in a variety of firmness levels, and are recommended for sleepers in every sleeping position — and very compatible for athletes. In addition, they isolate movement well, are very quiet, and sleep cool. Our picks for the best mattresses for athletes are based on research, data analysis, and consumer reviews. All the characteristics athletes should look for in a mattress have been taken into account and applied to different types of mattresses. 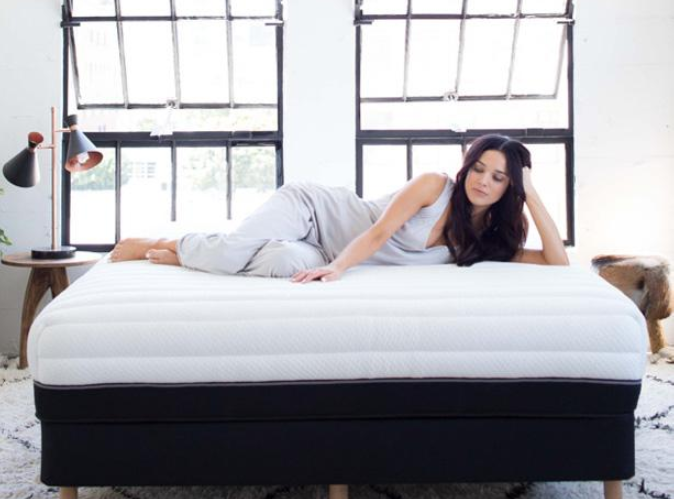 The mattresses selected here all provide consistent and strong foundational support, optimal pressure relief, and are compatible for athletes who sleep in a variety of sleeping positions. 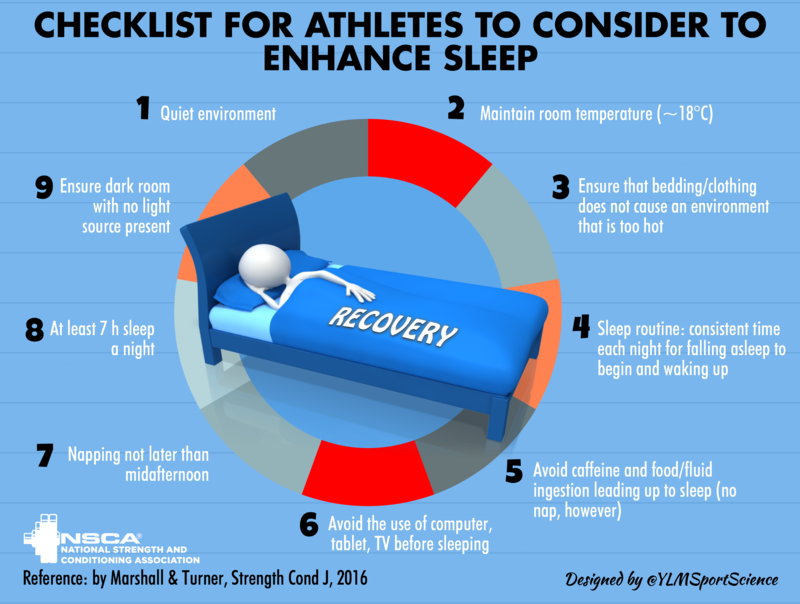 These are important qualities to note because they are critical in allowing athletes to get a good night’s rest, natural body alignment, and recovery. Top mattresses in this section also offer cooling, good motion isolation, and excellent durability. These characteristics are crucial when it comes to keeping athletes cool, reducing potential sleep disturbances, and making sure mattresses last a long time. The following mattresses were selected because they outperformed the rest, and are our top picks for athletes. Bear Mattress has many endorsements from professional athletes in a variety of sports. It is a 10-inch high-density memory foam mattress with three different layers. The foam layers are designed and developed using a proprietary method to make the foam eco-friendly by reducing the amount of chemicals used in the manufacturing process. Bear Mattress also is compatible with different foundations, including several bases made by Bear Mattress. Durability: Bear Mattress uses a proprietary method in manufacturing its mattresses. The high-quality materials and high-density foam used is durable and should last a long time. The company offers a 10-year limited warranty. Pressure relief: This mattress has a high-density gel-infused memory foam comfort layer that provides pressure relief and body alignment to help with muscle and body recovery. This mattress performs well in cradling the body without allowing sleepers to sink down too far, causing added pain or pressure. Temperature: Bear Mattress is designed to keep sleepers cool with a gel-infused foam comfort layer. It also features a cover that is made with a Celliant-blend fabric that helps keep the surface of the mattress cool. This mattress regulates temperature well, which is important for athletes in keeping cool during sleep. 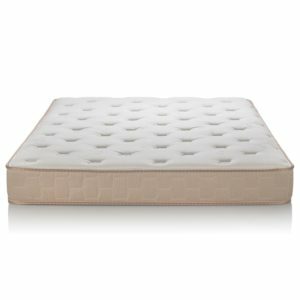 Bounce: This mattress has an above average amount of bounce as compared to other foam mattresses. This foam mattress responds well to movement and body position changes. Firmness: Bear Mattress is medium to medium-firm, which are the most popular preferences for athletes based on weights from light to heavy. Also, both firmness levels are recommended for many sleeping positions. Interested? Check out our complete Bear Mattress review with more information. Visit Bear Mattress for discounts! Essentia mattresses are made with all-natural ingredients, including latex natural memory foam derived from natural rubber tree sap. These mattresses feature 4-inches of memory foam comfort layers and a 4-inch latex support core. 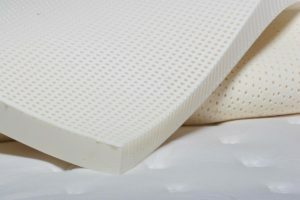 The latex support core of this mattresses is made with the Dunlop process, and these mattresses are known for durability and resilience, both important for athletes in getting the benefits of the pressure relief needed for recovery. The mattress also features an organic cotton removable cover that’s soft, breathable, and easy to remove for cleaning, and helps keep athletes cool to promote better sleep. The Essentia Dormeuse is medium in firmness, which is recommended for most athletes, and will support several different sleeping positions including stomach, back, and side. 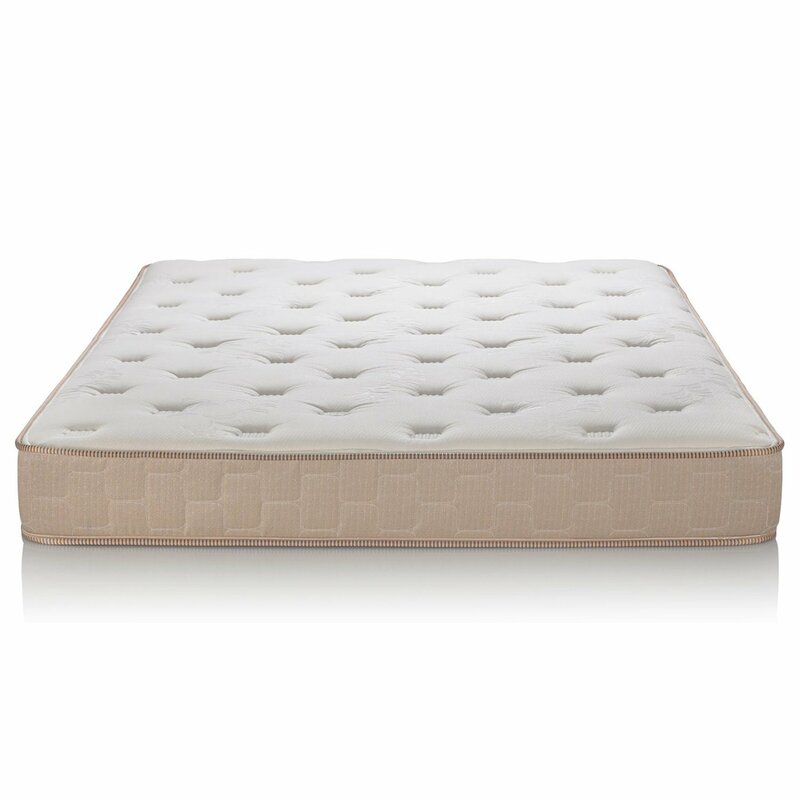 Durability: The Essential Dormeuse is made from high-quality latex and natural ingredients and should last a long time (20-year warranty available, one of the highest offered in the mattress industry). Latex is one of the more durable materials for mattresses, and bounces back into its original shape to prevent body impressions from forming. This is important for athletes in getting consistent support and pressure relief for recovery, and for easy sleeping position movement during the night. Firmness: This is a medium-firm mattress, which is compatible with most athletes, including heavier athletes and various sleeping positions. Temperature: The natural foam used in this mattress is more breathable than other foams, which promotes cooling for sleepers. This helps athletes stay cool to promote better sleep. Pressure relief: This mattress performs well in conforming to the body, offering excellent pressure relief for athletes to promote muscle relaxation and recovery. The PerformaSleep mattress is a hybrid mattress that has three different layers. The mattress was designed to help promote recovery for athletes, based on research. The layers include a polyfoam top layer, memory foam layer, and a base polyfoam support core. These mattresses were designed to help keep sleepers cool, with a copper-infused layer that helps reduce heat trapping, drawing heat away from the body. This is important for keeping athletes cool during sleep. The memory foam helps with body contouring, which promotes recovery, and the base layer provides stable and consistent support. Durability: The PerformaSleep mattress is made with high-quality materials and high-density foams and should last a long time. Temperature: The top and comfort layer of this mattress is constructed with a copper cooling gel layer that is designed to regulate temperature, keeping athletes cool to help promote with recovery. This is important for athletes in getting a good night’s sleep, and reducing sleep disturbances. Resiliency: PerformaSleep mattresses offer above-average response time for foam, which allows sleepers to move more easily on the mattress when shifting positions. The foam responds well, which is important for athletes who may need to change positions based on recovery or potential injuries. Motion isolation: The foam used in this mattress also provides good motion isolation, which helps prevent sleep disturbances for athletes. The foam absorbs movements that occur during the night. 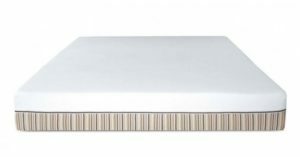 Luxi makes a foam/latex combination mattress with an adjustable feature that allows the individual layers to be split and flipped. This gives athletes the ability to customize the firmness layer of the entire mattress, or their individual side of the bed. The foam layers on the inside of the mattress can be rearranged. Durability: The Luxi mattress is made from high-quality materials and should last a long time. This mattress uses a heavier 4 lb. foam, and a durable cover and latex layer, which help promote a longer life span and reduce sagging. Firmness and adjustability: The firmness level of the Luxi depends on the configuration of layers chosen. There are firm, medium, and soft firmness levels available. There is also a Luxi mattress that is not adjustable, and it is a medium firmness, which is preferred by most athletes. The ability to adjust the firmness level is key for athletes in helping with recovery, and especially with injury. Athletes can adjust the bed and configure it to be more or less firm to support their needs with recovery and healing. This characteristic is unique to Luxi mattress. Temperature: Many memory foam mattresses are known for sleeping hot, which is not recommended for athletes to get the best rest and recovery. Luxi mattresses have a latex layer that has a cooling feature, as does the open cell construction of the base foam layer. Pressure relief: This mattress features a “Support Balancing Technology” layer, which consists of 3.5” of foam molded into foam heads with channels in between. This allows for resistance and acts much like an innerspring construction to prevent sagging and body impressions, and helps with airflow. The memory foam and latex foam layers work together to provide pressure relief to support recovery for athletes. 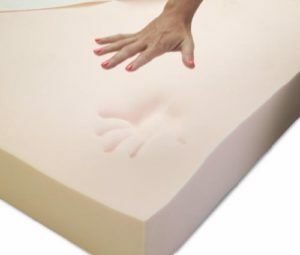 The memory foam offers body contouring and relieves pressure on the heavier parts of the body. 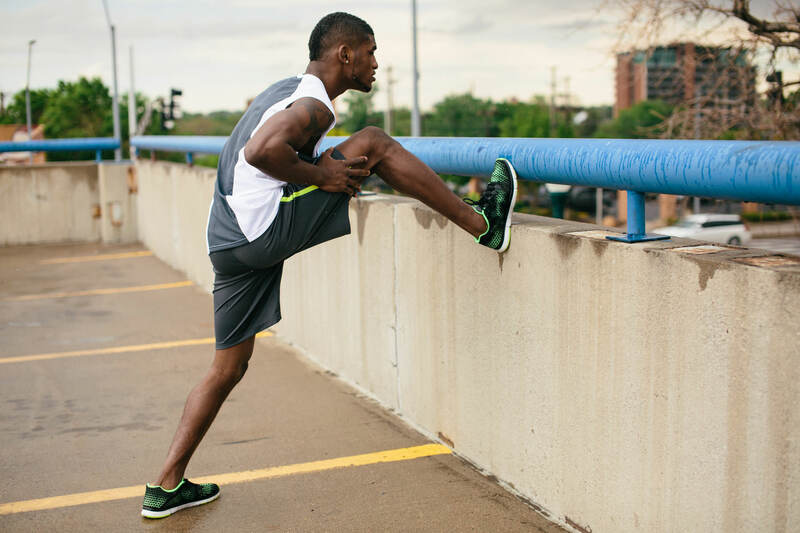 Read our full Luxi mattress review to learn more about why the Luxi mattress is a good choice for athletes.